Le Qurʾān Seminar est un projet universitaire, financé par la Bourse Sawyer de la Mellon Fondation et hébergé par l’Université de Notre Dame. Sa vocation est de faire progresser notre compréhension scientifique du texte coranique. Le projet, dirigé par Gabriel Said Reynolds et Mehdi Azaiez, implique la collaboration de chercheurs du monde entier, et comporte d’une part une série de conférences publiques accueillant les plus éminents intellectuels musulmans et d’autre part la réalisation d’un commentaire innovant de 50 passages centraux du Coran. The Qurʾan Seminar is an academic project, funded by a Sawyer Seminar grant of the Mellon Foundation and hosted by the University of Notre Dame, dedicated to advancing our scholarly understanding of the Qurʾanic text. The project, led by Gabriel Said Reynolds and Mehdi Azaiez, involves the collaboration of scholars worldwide, a series of public lectures by leading Muslim intellectuals, and the production of an innovative commentary on 50 central Qurʾanic passages. The Qurʾan Seminar is dedicated above all to the study of 50 passages of the Qurʾan, passages chosen in order to represent : 1. themes of central importance to the text itself, 2. a diversity of literary genres, 3. material equally distributed throughout the Qurʾan’s 114 Suras, 4. topics which have received particular attention in classical and contemporary Qurʾanic exegesis. Through an online interface, the 26 scholars affiliated with the Qurʾan Seminar will reflect on these passages – and comment on the reflections of others – during the academic year 2012-13. In addition, five colloquia will take place at Notre Dame during the course of that year. These colloquia will involve round table scholarly discussions of the passages at issue and a series of lectures by Muslim intellectuals. These lectures will be recorded and publicly available through this website. The scholarly work of the Qur’an Seminar group will be published in both online and print versions — announcements regarding the publication of this work will appear here. In line with new developments in Qurʾanic studies, the discussions of the Qurʾan Seminar will be centered around three questions : 1. the structure of the Qurʾan (its logical, rhetorical, and literary qualities, or naẓm), 2. the Qurʾan’s intertextual relationships (with both Biblical and other literary traditions), and 3. the Qurʾan’s historical context in Late Antiquity. In this regard, the approach of the seminar is Qurʾanist inasmuch as scholars will address the Qurʾan directly and not rely on the categories of medieval exegesis as a lens through which to view the text. 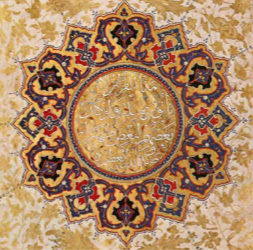 At the end of the project, the online scholarly commentary of the Qurʾan Seminar will be made public on the internet and in a unique format which will allow students of the Qurʾan to recognize the plurality of voices, and opinions, on each passage studied. In addition, the public lectures associated with the seminar, along with a scholarly resources for the study of the Qurʾan prepared by the project’s fellows, will be published in print form. Videos of the public lectures will also be made publicly available on this website. Co-Directors : Gabriel Said Reynolds (Tisch Family Associate Professor of Islamic Studies and Theology, University of Notre Dame) and Mehdi Azaiez (Postdoctoral fellow, University of Notre Dame). Fellows : Munʿim Sirry (post-doctoral fellow, University of Notre Dame), Hamza Mahmood (doctoral fellow, Cornell University), Emmanuelle Stefanidis (doctoral fellow, University of Paris VIII). For a presentation of all 26 scholars of the Qurʾan Seminar, see the contributors page. The Qurʾān Seminar involves a series of public lectures by leading Muslim intellectuals.